TER’s convention committee is pleased to announce that the 97th Annual Tau Epsilon Rho Convention will be held from December 27, 2018 to January 1, 2019 at the Hutchinson Island Marriott in Stuart, Florida. 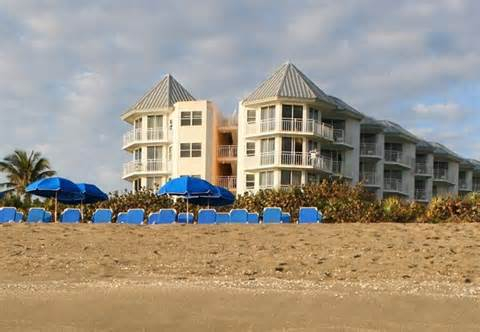 This hotel is located 45 minutes north of the West Palm Beach airport. *****The above rates do not include room tax (currently 11%). Also, there is a $20 per day charge for the use of two chairs and an umbrella on the beach (which is waived if you are a Marriott Gold or Platinum Elite member). There is no charge for chairs at the Sandpiper Tower swimming pool. The convention this year is going to be very low key and informal. Our theme will be “Spending Time with Family and Old Friends”. We encourage you to bring your family and friends, regardless of whether they are members of TER. (Any member whose TER membership has lapsed is also welcome at the same rate as members). The convention fee of $175 per person (reduced from $300 last year) applies to all adults; we will work out a reduced rate for young children. This fee will include two offsite group dinners at restaurants selected especially for the group by your convention chairman. Tentatively, those dinners will be held on December 27 and December 30. The convention fee will also cover the cost of our famous hospitality suite. Yes, this will include a puzzle, nibbles, and those funny (if not old!) stories. (Hey, it’s all in the delivery anyway, right?). The convention program will also include one short business meeting (specific time to be announced later on.) We have not yet determined whether or not there will be a CLE program. You can use the enclosed credit card authorization form (click here for authorization form) to pay your TER convention fee or send your check to the TER National Office address noted at the bottom of the form. For those of you who have not been to the Stuart area, you are in for a treat. Stuart, Jensen Beach, and the surrounding area have grown dramatically since TER was last there in 1994 and 1995 (remember the Indian River Plantation?). There are restaurants, galleries, ample shopping, and parks to keep us all occupied. We have been allotted a small number of one-bedroom suites, and we expect they will go fast. There are also studio suites which are quite spacious. All of the rooms for our group (including the studio suites) have a kitchen area that includes a small refrigerator, microwave oven, stovetop burners, and a coffee maker. The Sandpiper Tower has no rooms that directly connect to each other, but it is possible to get two rooms next to each other that share a private hallway. Although our room block is being held until November 27, 2018, please book now so you can get the type of room you desire. As long as you guarantee your reservation to a major credit card, no deposit is required. Be advised that the hotel does charge an early departure fee equal to one night’s room and tax, if you check out early. This fee only applies if you are already checked into the hotel but check out before your scheduled departure date.